Pimpama City Shopping Centre is putting on the tunes, tinsel and the trimmings to give your family the best Christmas ever with centre wide bargains across our 40 retailers. 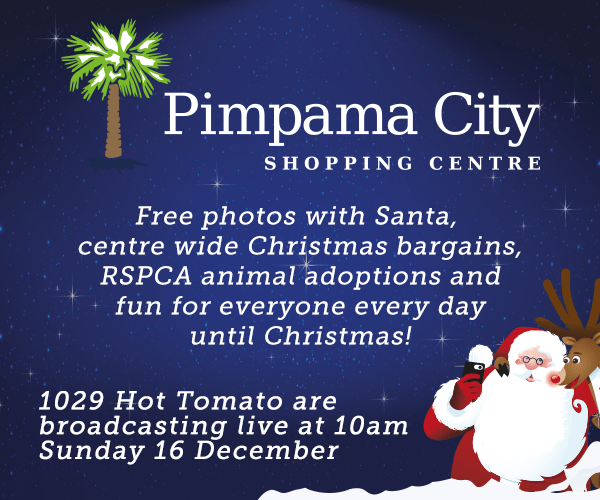 Hot Tomato will be broadcasting all the music, fun and entertainment directly from Pimpama City Shopping Centre on the 16th December from 9am , so come down and meet the 1029ers and enjoy the Christmas entertainment and all the bargains at Pimpama City Shopping Centre. There will be children’s entertainment every Saturday and Sunday in December so bring the family down for some super fun! Mother Teresa Primary School Choir will be singing their little hearts out on the 4th December at 10am, why don’t you come down and support these little stars as they perform their best carols for you. The Cadillac Club arrives on the 8th December from 6pm to 9pm, come down and make it a night out – admire these hotrods, stay and have dinner at Pimpama Tavern or at any of our 6 family friendly restaurants. 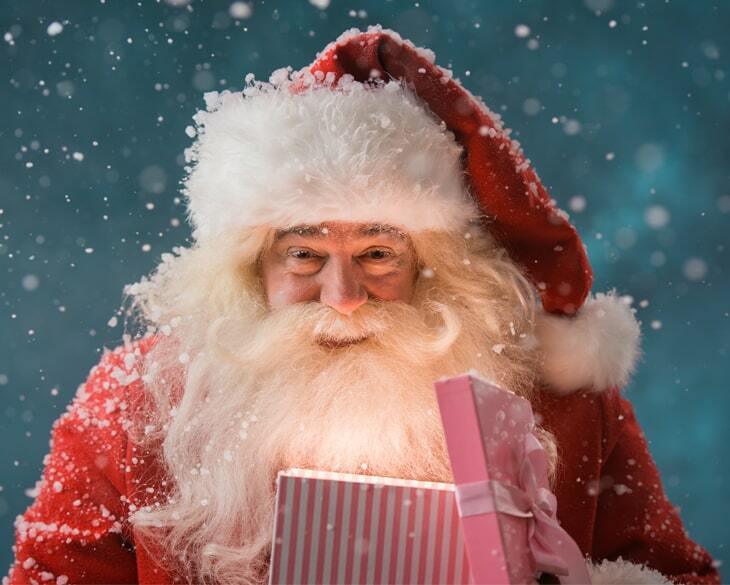 Santa will be cool as a cucumber at our fabulous new centre and will be waiting for your family every day from the 10th December, so dress the kids up and bring them down to commemorate Christmas this year with free snaps with Santa for your FB and Insta. Every home needs a furbaby to make it complete this Christmas, so the RSPCA mini pop up adoption truck will be at Pimpama City Shopping Centre the week before Christmas, maybe you could consider adopting a pet and give them a second chance with your family this year? The kids will be stoked, for sure. Pimpama City Shopping Centre is where it’s always happening, and where shopping is always easy with plenty of easy access to free parking – it doesn’t get any better than this.